Ticket giveaway to 'Irish Celtic'! A thrilling Irish dance show is set to get feet tapping in Melbourne and Sydney, when Irish Celtic makes its debut next July and August. Dance Australia has two double passes to give away! landlord and owner Paddy to share an unforgettable night of music, storytelling and dance. scorching tap dancing and nail-biting precision. with the talented Denise Flynn, former star of Lord of the Dance, for Irish Celtic. dancing events and original choreographies. He has released numerous CD compilations and has become a much sought-after musician in his field. 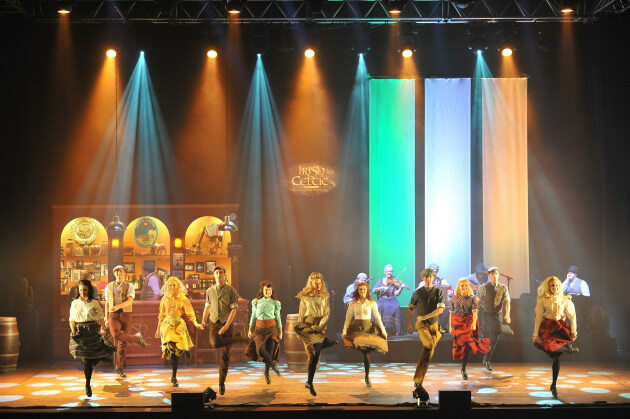 'Irish Celtic' is showing at The Palms At Crown, Melbourne, from 31 July to 5 August and at the Capitol Theatre, Sydney, from 7 to 12 August. and TWO tickets (1 x double pass) to give away for Sydney - 7 August, 7pm. TO ENTER IN THE DRAW, all you have to do is email competition@danceaustralia.com.au with Celtic Irish and your preferred city as you subject line (eg. Celtic Irish Sydney).